This January, The Utah Museum of Fine Arts will host The International Tolerance Project: Promoting Through Design in its “ACME Lab” wing of the museum. 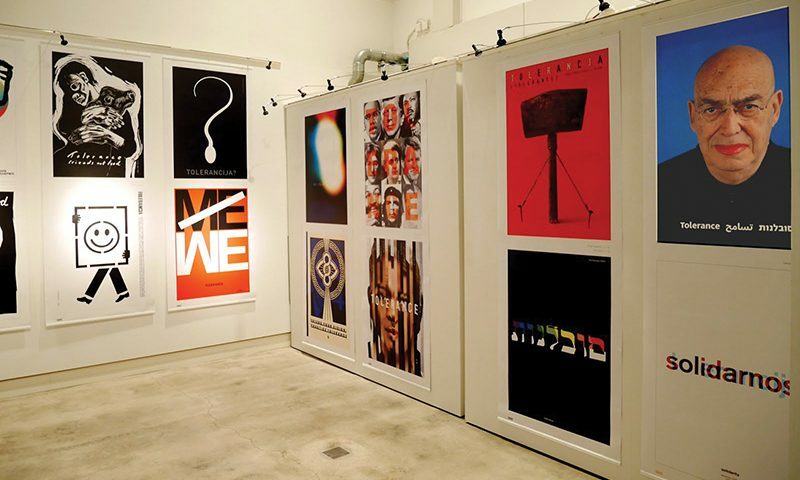 Tolerance is a traveling poster exhibition that pools pieces from over 100 artists, each of whom were asked to design a poster around the concept of tolerance and to follow one small guideline: “Use the word ‘tolerance’ on the poster with the creator’s given language”—simple enough instructions from the show’s orchestrator, Mirko Ilić. Since the show opened in Slovenia early in 2017, it has travelled and grown, receiving new pieces about every two weeks. 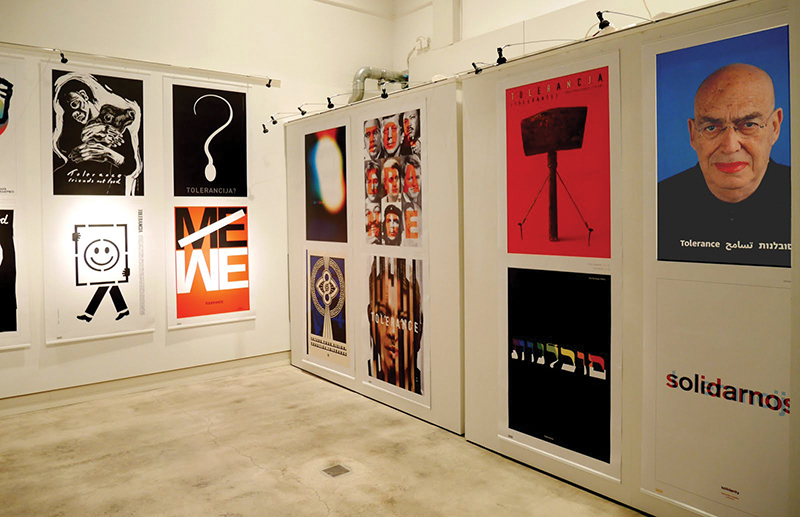 Though what will show in UMFA’s “ACME Lab” is a small slice, opportunities to see more of the posters and designs abound. The exhibition proper opens Jan. 17, and on Jan. 22, a roundtable will discuss tolerance and how to promote it within our community, at 7 p.m. on 337 W. Pierpont Ave. Ilić’s presentation of the show at UMFA will be Jan. 23 from 7 p.m. to 8 p.m. On that same day, from 5:30 to 10 p.m., the Downtown library will project all 100-plus posters onto the north side of the building, which faces the Red Line Trax stop and a candle vigil that will go from 9 p.m. to 10 p.m. A collection will be on display inside the Downtown and county libraries as well, and Salt Lake Film Society will have a digital showing at the Broadway Centre Theatre. Rose Wagner Theatre will show the posters, and Ririe-Woodbury Dance Company will create dance performances based on them on Jan. 16 from 6 p.m. to 8 p.m. Tolerance is an elegant show. Since each piece comes from artists working in design or illustration, the pieces err toward simplicity and cleanliness in presentation. Each one manages to be visually arresting in the way any good visual designer strives for. Both abstract and concrete examples make up the show: One piece by Alejandro Magallanes (Mexico) from the Tolerance Billboards in Ljubljana, Slovenia, shows two figures—one pink and one blue—holding mirrors up to the other’s face, each reflecting their own face back to their own mirror, which reflects again back to the opposing figure. The relected faces of the figures eschew their gendered colors and are instead simply white. Another piece shows the face of David Tartakover, an Israeli graphic designer, wearing lipstick. “I was very touched when I received photographs of the opening of the show from Zayed University College of Arts and Creative Enterprises in Abu Dhabi,” says Ilić. “A group of female students gathered in front of and photographed [the] poster of David Tartakover. Not only is that poster written in Hebrew and Arabic, but it is a photograph of an older man with lipstick. That must have been very interesting to them.” Ilić hopes that these representations of queerness in particular will help gay and queer people feel seen in communities where being gay or promoting gayness is illegal. The word “tolerance” is a wide umbrella, and I asked Ilić why not “acceptance,” “love,” “freedom” or any other broad and pithy descriptor—why “tolerance” specifically? “[It’s] the bare minimum emotion of civil behavior which we can ask for,” Ilić says. “Asking people to love something they don’t know or are afraid of is a little too much in the beginning.” This is an important detail; Ilić, the artists and those housing their work see Tolerance as a chance to work toward acceptance. Ilić did explore several options for the show’s theme beyond the starting point of “tolerance,” Graham says. “What he discovered is the word ‘tolerance’ does actually mean ‘love’ and ‘acknowledgement’ and ‘acceptance’—in other languages, not just American English.” Part of what will probably make this show alluring is its disengagement from Eurocentrism, but the design prowess helps the viewer sidestep the easy trap of delighting in the exotic. “The very nature of the format and the fact these are coming from all over the world help the topic feel closer to home because of its universal need,” says Ilić. Tolerance is not simply a tapestry of foreign art but a deeply earnest conviction that people who are different from you matter. In some ways, it feels like picking up a hobby late in life, as though the real opportunity has passed long ago. Tolerance elegantly posits that it hasn’t—to be better, more empathetic and kinder will never be too late an endeavor. A community and its people must believe this before it can ever truly hope to function equitably. Visit UMFA Jan. 17 to see the “ACME Lab” exhibition, and visit the Downtown library and various county libraries for easy opportunities to see Tolerance. More information can be found at https://umfa.utah.edu/tolerance The UMFA exhibition will run through June 23, while other venues will keep the exhibition up for a month minimum.